So you have a bunch of functionality you've automated and you'd like to execute the scripts unattended both on a set schedule as well as on certain triggers. Alternatively you can add the Perl script, using your services manager or crontab, to the list of services to be run periodically. Or add it to your CI flow to be executed when certain conditions are met. What does it means to be a Context Aware Tester? A context-aware tester knows that each situation will most likely require a custom approach. Likewise, A context-aware tester rejects the notion that a specific approach is the only approach to all problems. 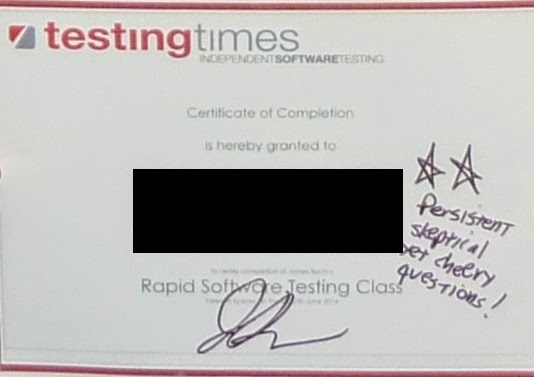 A context-aware tester does not reject any practice, technique, or method (not even another approach) when it comes to the who, what, when, where, and why of testing. Just like Schilit describes "context-aware software" as adapting "according to the location of use, the collection of nearby people, and accessible devices as well as to changes to such things over time. ", so is a Context Aware tester and in doing so has the capabilities to examine the computing and human environment and react to changes to the environment that may affect the product under test. 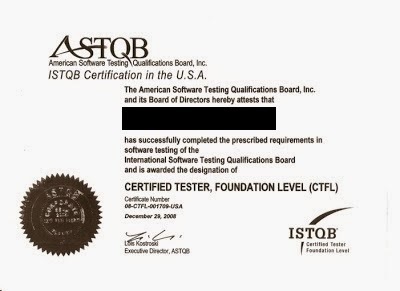 Oh, and no, being a Context Aware tester does not mean you are now a member of a school. Context Aware is not a school. Is an approach to help solve hard, and easy, testing problems. I was just approached by a colleague who wanted to know how I data drive my tests when automating. Since this is probably a common enough question I figured I share in my blog. One of my favorite approaches to data drive my tests is to use database tables to store the data. By using a database, such as MySql, you save yourself a lot of time in the maintenance and mining of the test data. You also get to, based on the query, select only certain type of data to be included during the current test run. Lets say for example that you want to test the login function of your web application / site. You already have a user table set up in your database that has a large amount of user names, passwords in different combinations (e.g. valid user, invalid user, male, female, etc). You can leverage MySql by constructing a query that covers the specific users you would like run the test for. Below is a quick example to try to illustrate the above. 8:    # SsApp is a custom module where the stuff to set up selenium has been abstracted. With this approach you can have easy access to your test data by just querying a database table. You can also replace the while loop with a foreach loop or whatever looping construct your programming language supports. The basic idea is to iterate through your data and execute each test using each data set.